The Oakland Raiders are beginning the most crucial offseason in recent memory, and the most prominent component that will determine if it is a success or failure is the draft. 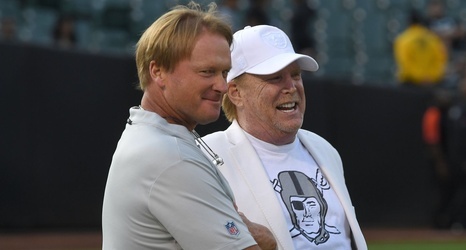 Jon Gruden has taken significant risks trading away players like Khalil Mack and Amari Cooper so he can build this team into the winner he envisions. However, even with the security of his 10-year contract, the pressure will most certainly be on him and new General Manager Mike Mayock to find foundational pieces this coming April. There are multiple areas of this team that need to be addressed during the draft; however, there are a few positions the Raiders probably won’t be looking at.